When I was in my teens there was a tv show that aired in the middle of the night. Not the kind of show that teenage boys wanted to see that they weren’t supposed to. It had no script. No characters. And its soundtrack was a slow hazy languid jazz. The music whispered as the camera followed the laconic ramblings of a taxi cab through the streets of downtown Toronto. At that time, and in my mind’s eye, Toronto’s urban core was shrouded in a deep forbidden mystery. Its nocturnal incarnation in particular. Its streets alive with a taboo vibrance. And so on the rare occasion that I was up late I would watch this odd little tv show. The one with the taxi cab that slowly trundled through this seductive midnight exotica. Never once did the cab stop to let someone out. Never once did the cab stop to pick someone up. Rather it seemed to hover the streets in a ghost-like capacity. Its movements methodical and measured. And tomorrow, as I go about my recovery run, that spectral wanderer will be me. 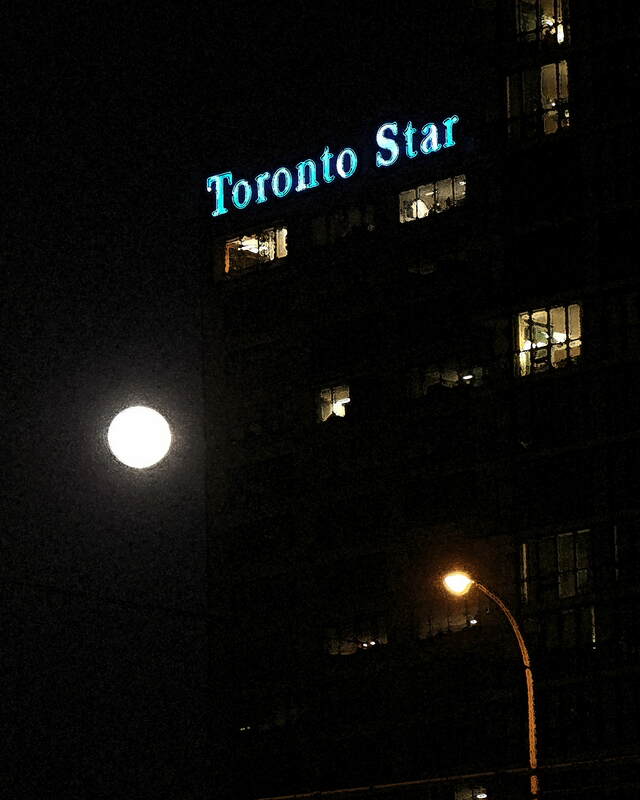 A slow resolute traveller of the same nocturnal Toronto I once fantasized about. But not in a taxi cab as seen on tv. You know it’s funny I think I remember something like that because it sounds so familiar and like you sometimes I would be up late at night. It was an odd but somehow engaging little tv show!